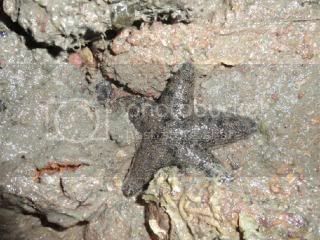 Today's intertidal trip was at Changi beach. It was a totally new experience and a memorable one!! the seawater is rather murky. That means lots of sediment and stilt in the water column. This is really a sad sight. In addition, the smell of petroleum around the area was rather strong too. However so, seeing the other animals alive and well really amaze me. The will of survival of these animals is definitely worth learning!! But one thing I do notice is creatures here are extra tiny!!! 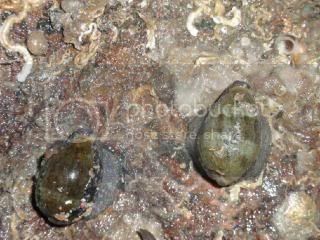 Cowries. They are really pretty creatures. The shell has a really nice shine to it, making them look absolutely stunning even though sometimes they are covered with other stuff!! 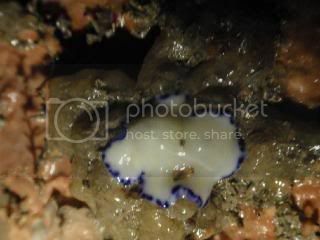 Blue-spotted flatworm (Pseudoceros indicus). Despite being really really tiny, its beautiful and striking colours betrayed its presence!!! I saw a really really pretty nudibranch (Hyselodori nudibranch). 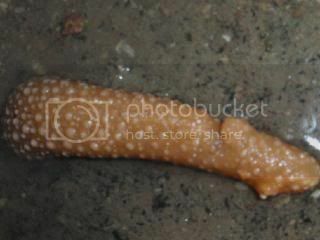 Like the flatworm, it's also really really tiny!! 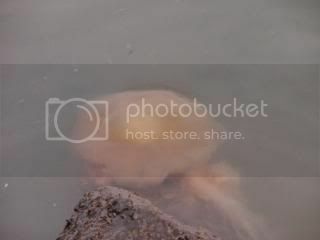 From this photograph (especially), I also learnt that I should ALWAYS take more than 1 photo of the animals. 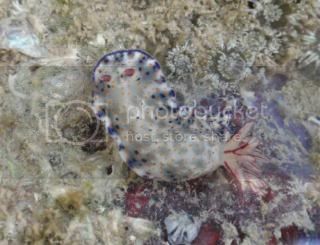 I didnt realise that the photo of this nudibranch wasnt really good, but I didnt take extra photos of it... DEFINITELY have to remember to take more than one photo for ALL next time!! 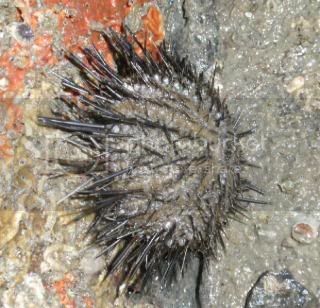 Stripped bead anemone. This is also really small. Probably about the size of 10cent coin. 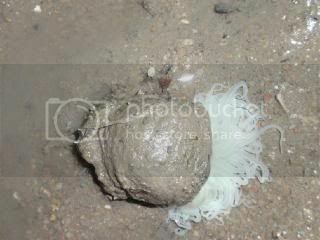 Another anemone I found was this, but i'm not sure the species. 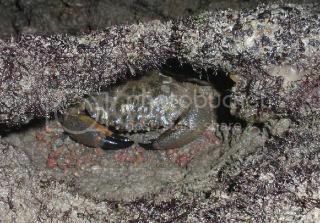 Stone crab (Mymenippe hardwickii). Most of them are hiding in holes or tiny caverns. The crab's HUGE pincers makes me rather wary if they would suddenly attack!! Mei lin's honours project which involves these stone crabs and she had to use large bbq tongs to catch them and transfer them from tank to tank. Seeing her does those things can be really frightening as those pincers are really HUGE!! 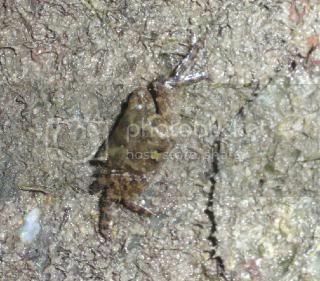 Tree climbing crab (Episesarma sp.). 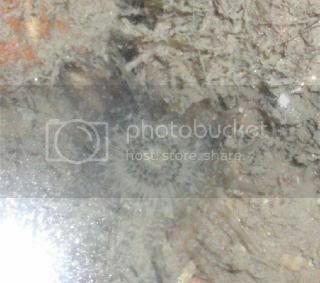 This cute box-like crab caught my attention! Well, this is an important find for me as I always associate them with mangroves and so, I assume that there are mangrove-specialist... So, look like my assumption is totally wrong!! Flowery Sea Pen (Family Vertillidae). My first sighting of this animal. The rich orange colour really stands out! One very important thing i learnt to recognise was this. 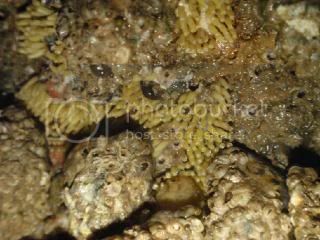 Do you know what are those yellow protrusions beside the Bumpy Drill (Family Muricidae)? 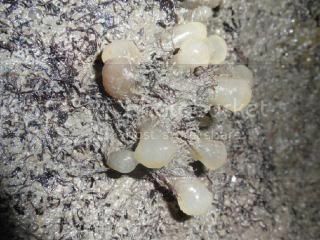 They are the eggs of those drill snail!!! Cool aint? James found a white ribbon worm!! This is also my first sighting of this animal. It's rather small as well. Thanks to James, if not i wouldnt have a chance to see this. 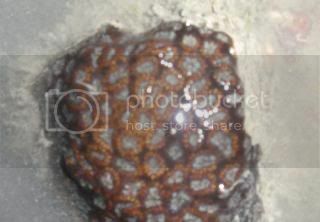 Is this a coral? I'm not too good at coral ID... Definitely need more experience in this area. 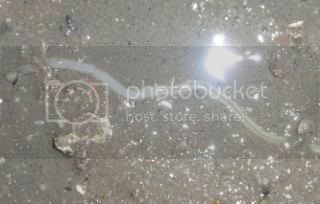 Jellyfish (Order Scyphozoa). The jellyfishes that I usually see arent as BIG as this one today!!! The sight of jellyfish reminds me of someone saying this, "Jellyfish are an indicator of water quality." Jellyfish are sensitive to the water quality though. But I cant remember if this is truly so. If anyone knows, tell me? 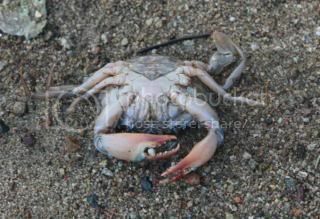 Have you ever wonder how a crab moult? I absolutely AMAZED by how that works. The "external shell remains" of the crab is almost perfect. 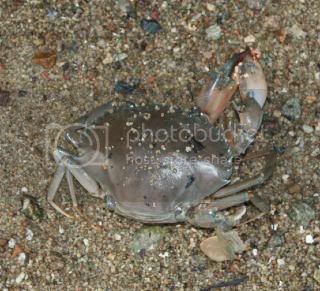 Ria told me that there are specific breakage point for the crab to release itself from the old shell. This topic really got me interested and I found some very interesting information on it. 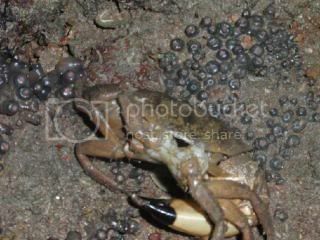 Bergey and Weis did a study on 2 population of fiddler crab in 2007 on how moulting could help dispel toxins. One population was in a large protected salt marsh (clean population) and the other was outside a sewage outfall (polluted pollution). 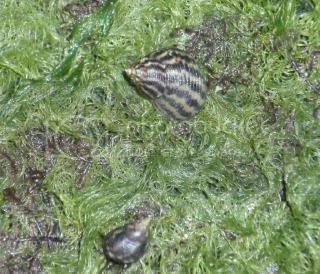 They compared the moulting frequency of both population and found that the polluted pollution moult much more frequently than those in the clean population. In addition to this, they also tested for metal content. The fiddler crabs from polluted population, by moulting eliminated 12% copper, 76% Lead and 22% Zinc as excess lead is mobilized into their exoskeleton (aka shell). Whereas those from the clean pollution eliminated a significantly lower amount (3% copper, 56% Lead and 8% Zinc). So probably moulting is a depurification mechanism and an adaption. Maybe the condition at Changi is not so good so we see moult? Oh yes!! 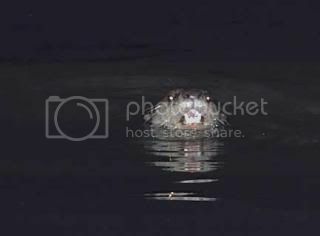 We saw a solitary otter!!! This is really really GREAT EXCITEMENT for us!! At first we though it was a lizard. But from this photo taken by Ria, it is obviously not!! :) For those, we might not know what otters are, think Disney's Pocahantas's best animal friend! !